God Asks No Man’s Permission! I guess most of you reading this email prophecy update are familiar with the Star Trek Television series. Most will remember the line; “to boldly go where no man has gone before!” While this refers to exploring the outer limits of space, being the commission of Captain Kirk of the Enterprise, I thought that this line might be applied to President Trump who is exploring the frontiers of the political world and daring to go where no other American President before him has gone. He moved the US Embassy to Jerusalem and publically declared that Jerusalem was the undivided and eternal capital of Israel. Then he not only put a stop to the Iranian nuclear deal but has now publically stated that the United States of America officially recognises Israel’s sovereignty over the Golan Heights. President Trump has done this much to the chagrin of the United Nations and the European Union who still maintain that Israel are the illegal occupiers of the Golan Heights. President Trump’s mandate for Israel’s security is an abrupt reversal of longstanding US policy on the contested area. Of course Prime Minister Benjamin Netanyahu is almost ecstatic over this move of support for Israel’s security by President Trump. The Golan Heights must remain under Israel sovereignty because if Israel gives the Golan Heights back to Syria, as the EU and the UN want to see happen, it would make Israel virtually indefensible to repel attacks on their Northern front bordering with Syria. There is no doubt that Syria is planning to attack Israel and that Iran in Syria is egging the Assad regime on to do this. However, the reality is that Turkey has Iran in its back pocket. Iran is not the problem for President Erdogan but Syria is a problem in that Assad is the only Middle-Eastern ‘strong-man’ left in that region. Saddam has long gone as has Gadhafi and once Assad goes it will be open slather for Turkey backed by Iran, Iraq, and the Islamic forces remaining in Syria to attack Israel at the Golan Heights. This is the plan. Most likely the armies of Pakistan would also enter into Syrian territory to support Turkey. President Erdogan has already cemented economic ties with Prime Minister Imran Kahn of Pakistan with the desire to further promote himself to become the supreme caliph of a revived Turkish Ottoman Empire. This is why he is an international ‘globetrotter.’ President Trump it seems is about to withdraw American forces from Syria which fits in well with President Erdogan’s agenda to take control of the whole Middle-Eastern region. Does President Trump really see what is really happening in Syria behind the scenes? As for Russia it seems they are withdrawing their forces from Syria right now and most likely closing their umbrella of protection and support for the Syrian regime. It looks like Vladimir Putin wants to ‘wait in the sidelines’ as it were, to see what transpires in Syria. If Israel does not take out Damascus Turkey will take it out including Assad and his regime, something President Erdogan has said he will do. The remaining Syrian military forces would be forced to join with Turkey, Iran and their allies. Islam would not be divided in that their goal would be to supposedly ‘liberate’ Israel from the Jewish people and give the land to the Arabs including Jerusalem. If President Erdogan could pull this off including taking control of the Temple Mount he would be hailed throughout the whole Islamic world as the prophesied Mahdi and recognised as the Supreme caliph of Islam, something he covets and will get if he can by any means possible. We see this illustrated in the Old Testament when Moses stood on a high rock and God opened the Red Sea so that the Israelites could pass through in safety out of the reach of Pharaoh of Egypt and his army that had been pursuing them. Once the Israeites had passed through the Red Sea the LORD destroyed all of the Egyptians as He will do to the Antichrist and his armies seeking to annhilate the Jewish people. This is why we see the Song of Moses sung again in the Book of Revelation. As Paul writes; “But I do not want you to be ignorant, brethren, concerning those who have fallen asleep, lest you sorrow as others who have no hope. For if we believe that Jesus died and rose again, even so God will bring with Him those who sleep in Jesus. For this we say to you by the word of the Lord, that we who are alive and remain until the coming of the Lord will by no means precede those who are asleep. The Blessed Hope for the believers at Thessalonica was not a pre-tribulation secret rapture that would spare them suffering and tribulation in this world because they were already experiencing severe tribulation for their faith in the Lord Jesus. Their hope was in His Second Coming to establish His Messianic Kingdom on earth of which they would be a part. Let men fight over the Golan Heights, let the armies invade Israel, let the politicians at the EU and the UN weave their diabolical, demonic and unbiblical schemes against Israel, but they will never succeed in destroying the apple of God’s eye, the sheep of His pasture! And again it is written; “He thwarts the schemes of the crafty, so that their hands find no success.” (Job 5:12) God has Turkey, Iran, Iraq, Pakistan, Russia, and Hamas in Gaza and Hezbollah in Lebanon including the UN and the EU all in His hands and will continue to thwart their wicked and spiritually diabolical scheming and when their time is up within His sovereign prophetic purposes for the spiritual restoration of Israel, He will strike a final and fatal blow from which Israel’s enemies will never recover! Seventy Weeks have been Determined. 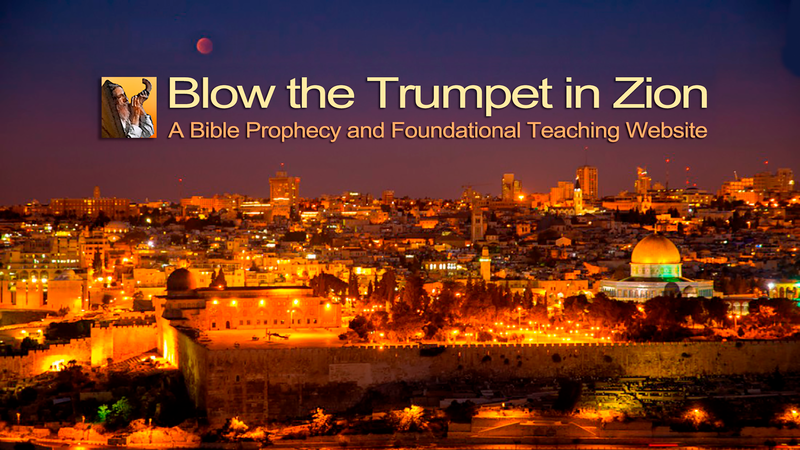 Why is Bible Prophecy Important? Everything That Can Be Shaken Will Be Shaken! Revival Lectures Study 1 What is a Revival? Revival Lectures Study 2 What Happens in A Biblical Revival? Revival Lectures Study 3 What happens in a Biblical Revival? Revival Lectures Study 4 What happens in a Biblical Revival? Revival Lectures Study 5 When is a Revival Necessary?